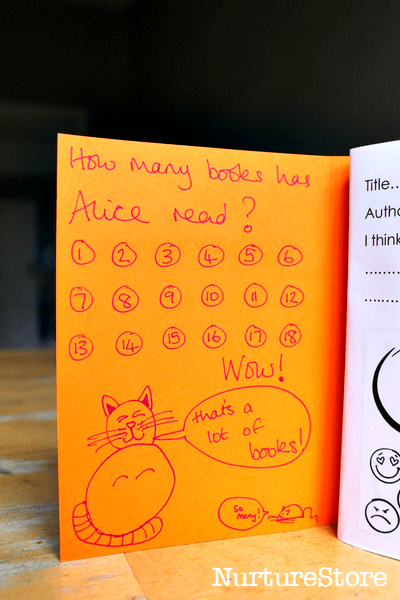 A free printable reading record that you can use with your child to encourage regular reading practise, perhaps as part of a summer reading scheme. 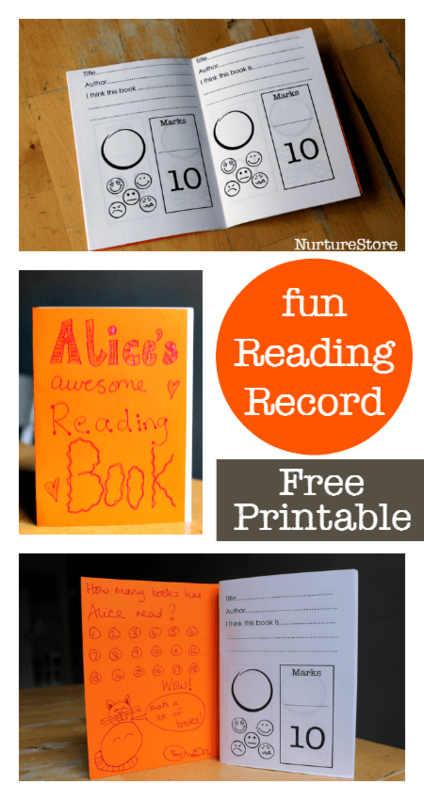 Here’s a fun little reading record printable I put together for my daughter to encourage her to keep reading right through the summer. The printable has a section to write in the title and author of your book, and a review of what you thought of it. There’s a space give it marks out of ten, and to show what your face looks like after reading the book: did it make you happy, sad, excited, giggle, scared or even bored! 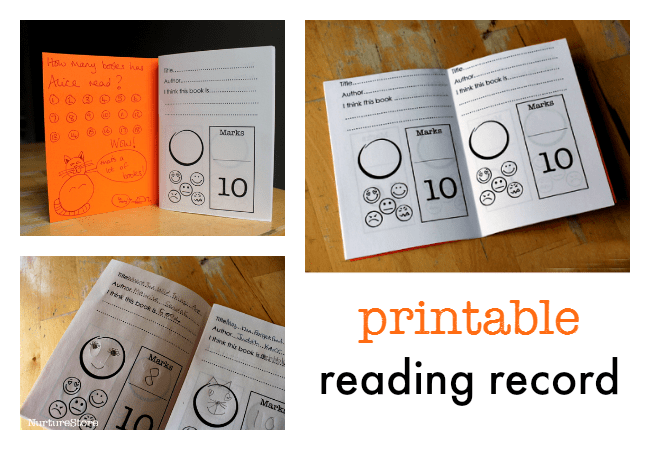 You can print off as many copies of the reading record sheet as you need, to make a book for your child, or for a whole class. I’ve made a US Letters size and a UK A4 size. It prints out with four sections to one page: you can print it double sided, cut each page in half across the middle, to create a little book. 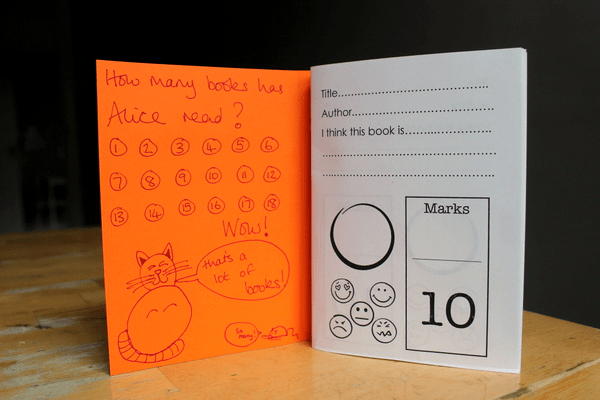 You can use a piece of card to create a cover for your book, making it colourful, fun and strong enough to last a whole summer’s worth of reading. 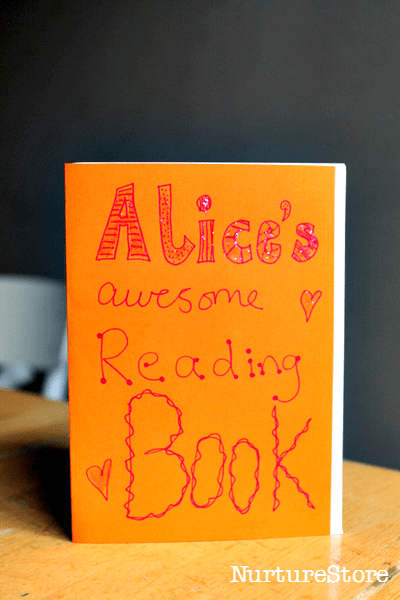 Give your reading record a front cover…. a chart inside to mark off all the books you’re reading – my daughter loves to tick things off, and it works as a visual record of all the work she’s putting in and all the progress she’s making. Add something fun on the back cover. We use Words of the Year as a New Year resolution focus and update them at the start of the school year with a back to school motto. 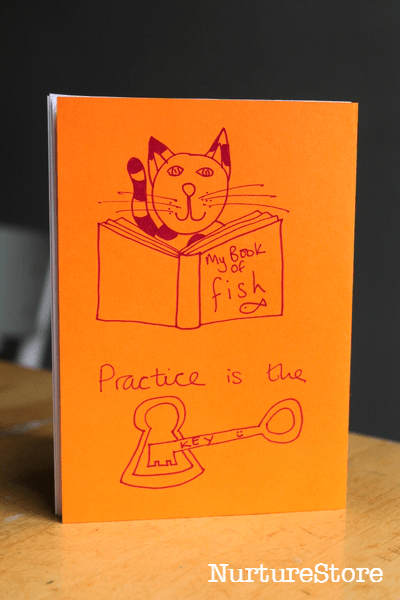 My daughter chose ‘Practise is the key’: a reminder that it’s the time she puts in that will make all the difference to how much she can progress. We have a basket of books gathered together as our summer reading selection and each day she picks one and we read it together. 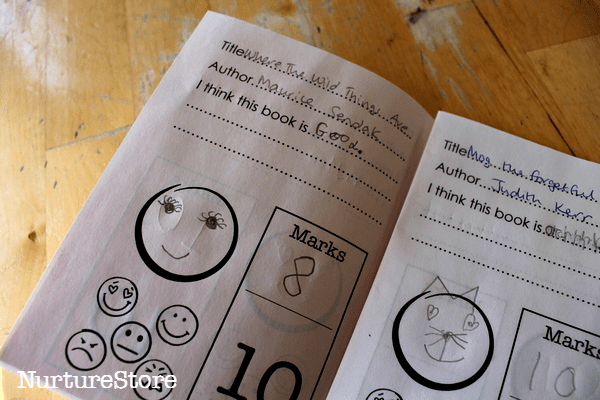 Then she fills in her review in the reading record – drawing the faces is her favourite bit! 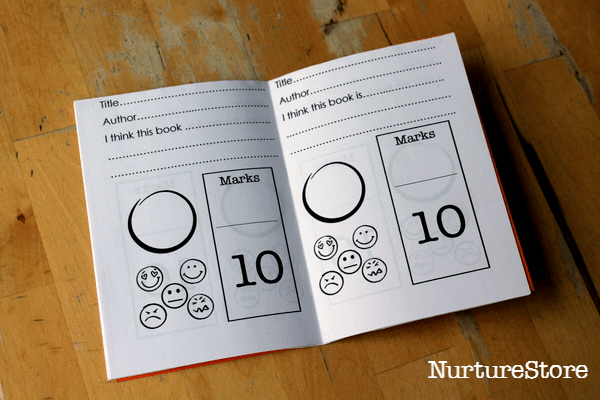 Get ALL my free printables by joining the NurtureStore community and gaining instant access to my free resource library, which includes this printable. Pop your email address in the form below and you’ll get instant access to all my free printables, lesson plans, activity ideas, weekly newsletter, and a whole lot more! Be sure to check for the confirmation email. After you confirm your subscription, we'll send you a welcome email which includes instructions for downloading our free printables. If you're already a Play Planner Newsletter Subscriber: check your email for the latest edition of the newsletter and you’ll find a link to access all our free printables.